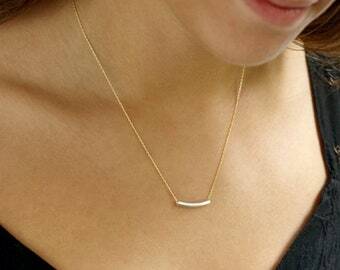 A sweet row of stones, all snugged up and lovely, curves subtly to compliment the neck and is hung from a thin but quite sturdy 14k gold filled chain. The effect is simply divine. 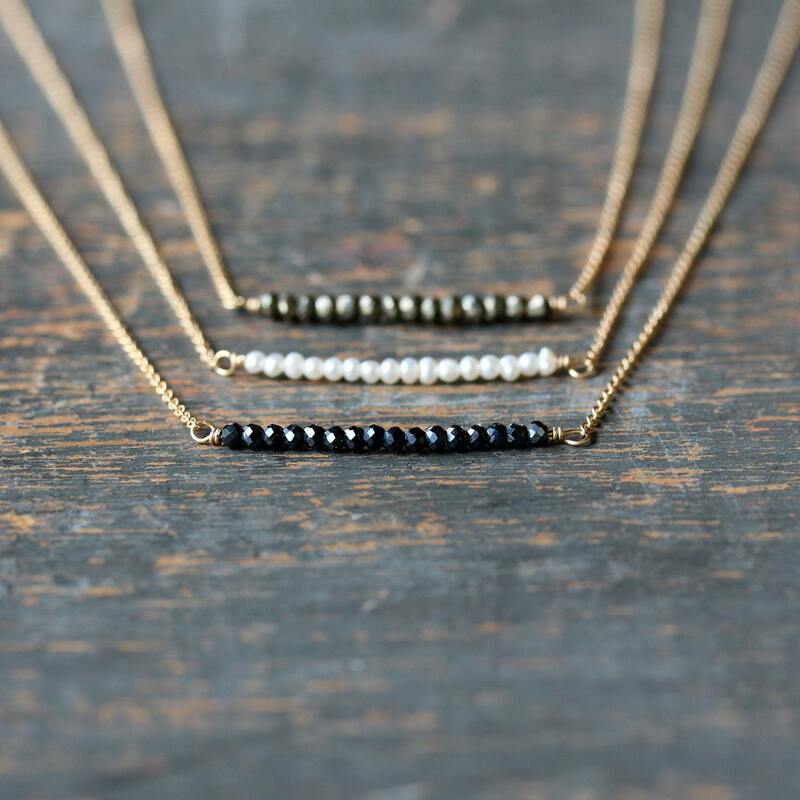 Choose from one of three stone options: black spinel, white seed pearl, or golden pyrite. 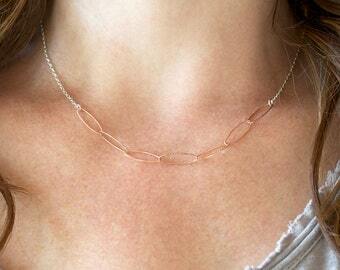 This is a great little necklace to wear on its own or to layer with other favorite pieces. 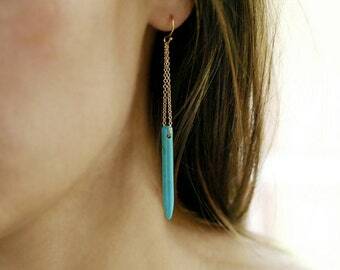 The gem row measures just over one inch long, and the gems are 2mm. Choose your stone and necklace length from the drop-down menus. 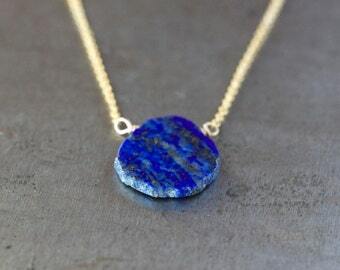 Want a set of three necklaces with each of the stones? Just add each to your cart separately, et voila! Received quickly and was as expected. 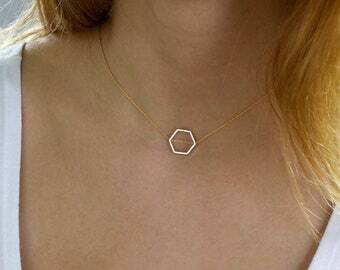 Very cute, simple, and dainty.